We’ve partnered with Monash University’s World Mosquito Program to support Pacific Island Country Governments (including Sri Lanka, Fiji, Kiribati and Vanuatu) to reduce the transmission of the dengue virus as well as other mosquito borne diseases including zika and chikungunya. The World Mosquito Program is pioneering the use of Wolbachia technology, which the World Health Organisation (WHO) recommended for further piloting in March 2016. Why is Wolbachia an important innovation? There have been an increasing number of outbreaks of dengue, zika, and chikungunya across the Pacific over the last decade. Every day, more than one million people are infected with the dengue virus. Nearly 4 billion people living in tropical and subtropical regions of the world are vulnerable to infection. Wolbachia is changing this by preventing the dengue virus from being transmitted by Aedes-aegypti mosquitoes, and it has a similar blocking effect on other viruses such as zika and chikungunya. Wolbachia is a naturally occurring bacteria present in up to sixty per cent of insect species, but not the aedes-aegpti mosquito, which carries dengue, zika and chikungunya. 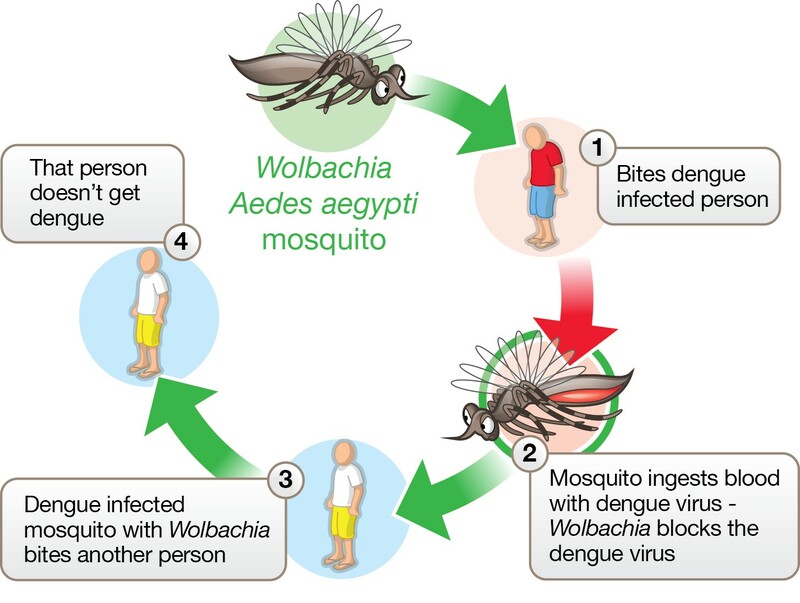 When a mosquito carrying Wolbachia bites a person with dengue (or zika, and chikungunya), the Wolbachia blocks the virus from being transmitted, and therefore stops the mosquito transferring the virus. 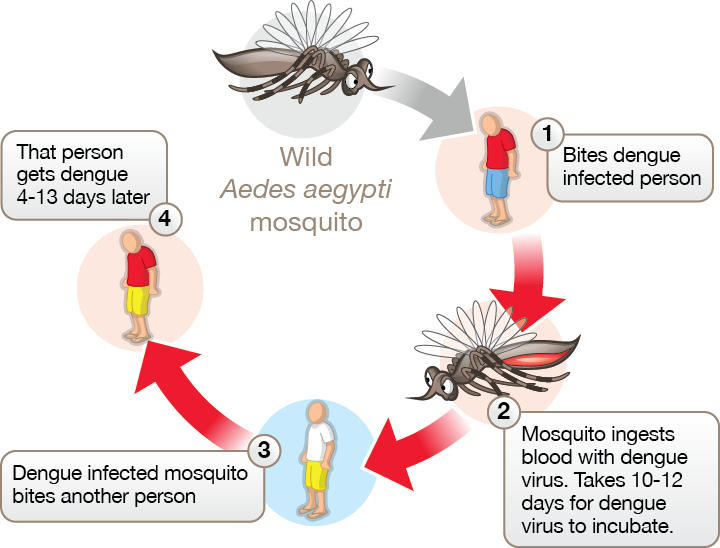 When mosquitos carrying Wolbachia are released into wild mosquito populations, they breed, passing the Wolbachia to their offspring and subsequent generations. Over time Wolbachia carrying mosquitos become dominant and the method self-sustains in the mosquito population. The process does not need to be continually reapplied, making it a very affordable and long-term intervention. Over the next three years, we are aiming to substantially reduce outbreaks and local transmission of dengue, Zika and chikungunya diseases in target sites in Sri Lanka, Fiji, Vanuatu and Kiribati and surrounding areas. The results of field trials conducted across South America, Australia and South East Asia since 2011 have shown that local transmission of the dengue virus stopped in areas where Wolbachia had established in local mosquito populations. The same technology is also being trialled in Colombia, Vietnam and Brazil. We hope this work also contributes to the broader efforts to eliminate dengue across the globe. For more information, you can explore the World Mosquito Program website, or follow the innovationXchange or Eliminate Dengue on Twitter for further updates.